Our products are new, backed with a 30 day full money back return policy. Bundles contain all components in description. Bundles are packaged and sealed by publisher. Printed Access Codes are also individually seal wrapped with book. Products are Shipped UPS with tracking provided. Have you found yourself visiting a half dozen websites, etc., for a required textbook only to find that the ISBN does not exist? If you are unfamiliar with ISBN searching, you may think that the professor made an error or that the textbook is not available yet. You probably don't know you're looking for a Custom/Bundle textbook. Many textbook publishers are giving professors the option to modify a textbook by adding chapters, experiments, and labs. These textbooks are given a unique ISBN and a unique custom version title, for example, English Literature, would be changed to Bundle: English Literature and the ISBN would be changed to the item as a package. Now, you have a way to easily verify new Cengage print learning materials as authentic. Starting immediately, a certification seal featuring a design––unique to each print unit––and a QR code will appear on the cover of the vast majority of copyright 2018 and copyright 2019 print product. We have a simple process to help you confirm that the product comes from Cengage––and meets our standards of excellence. Students can verify by looking for the certification seal on the cover of new products. Our library customers can easily verify authenticity, simply scan the unique code with a black light or QR scanning app on your mobile phone. The technology embedded in the seal will immediately indicate whether the product is real or counterfeit. The customer is notified if a delay within 30 minutes of the receipt of the order . At Coleman Book Company, we make it our business to save students, teachers and other professionals alike the time and effort that can be taken up when ISBN searchingfor publications, printed access cards or other course related materials. We know all too well that searching for a custom bundle textbook online can take time. Coleman Book Company also specialize in sourcing Printed Access Cards. These codes are used to access course content online. The content you access depends on the course but can include things such as practice exam questions, interactive videos to help you understand course concepts, and course assignments. If your professor requires you to purchase an access code, it is because at least part of your grade will be related to and come from the online content. Whatever items you are searching for, whether that be Cengage Educational Content, Custom Bundle Textbooks, Printed Access Cards or Codes – get in touch with a member of the team at Coleman Book Company today and let us ease the workload by sourcing these hard-to-find items on your behalf. Order your custom textbook bundle or printed access card online from us today. Our promise is to offer a speedy dispatch once the order has been placed. We give all of our customers free delivery and offer a no quibble 30-day money-back guarantee to ensure your total satisfaction. With Bill Me Later you can buy your textbook now with nothing down and take 6 months to pay. You'll no longer have to pass up these great offers because you don't have the money or pay full price down the road because sale is gone. 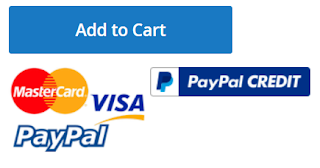 At checkout click PayPal Credit, read the details, follow the prompts and you're done. Coleman Book Company are a trusted and established supplier of custom bundle textbook across the US. Our Customers are a mix of students, teachers, medical personnel and special and public libraries throughout the US. FIRM ORDER SERVICE "Hard-to-get" items, though at times challenging, are our specialty. Materials are supplied from more than 29,000 publishers and distributors worldwide, with more added daily. Current titles are stocked from more than 100 publishers. OUT OF PRINT SEARCHING If your item has been declared out-of-print or out-of-stock-indefinitely, upon request, we will search Out of Print databases to obtain a copy for your library. When we've located a copy, we will advise you of its condition and price for approval before supplying it to you. RUSH ORDER SERVICE When a book is needed immediately, or sooner, your order to us, if not in inventory, is placed with the publisher within 30 minutes of its receipt. SHELF READY SERVICE If requested, Coleman will physically process any material purchased so that the customer's collection-building process is facilitated. We can provide barcodes, security strips, or complete card kits. Additionally, we offer original cataloging records as well as copy-cataloging records. STANDING ORDER SERVICE Coleman will monitor and maintain standing orders for our customer's requirements from any source, whether or not they recognize "standing orders". The flexibility of our computer system allows for this service to be tailored to meet your specific needs. We will also provide customized acquisitions plans for alternating editions, volumes, and publication years for other than all items produced in a series. Coleman offers many options to enable you to receive your orders, books and other library materials, from CBC ready for immediate use by your patrons, saving your staff valuable time while reducing the student or library's overall expense. Upon request, we can include any or all of the technical services listed below into your customer account profile. Coleman Book Company also specialize in sourcing Printed Access Cards. These codes are used to access course content online. The content you access depends on the course but can include things such as practice exam questions, interactive videos to help you understand course concepts, and course assignments. If your professor requires you to purchase an access code, it is because at least part of your grade will be related to and come from the online content. Whatever items you are searching for, whether that be Cengage Educational Content, Custom Bundle Textbooks, Printed Access Cards or Codes – get in touch with a member of the team at Coleman Book Company today and let us ease the workload by sourcing these hard-to-find items on your behalf. Order your custom textbook bundle or printed access card online from us today. Our promise is to offer a speedy dispatch once the order has been placed. We give all of our customers free delivery and offer a 30-day money-back refund to ensure your total satisfaction.